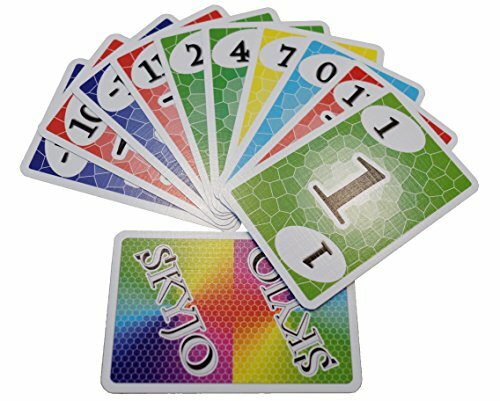 Shop Ireland » Toy » SKYJO, by Magilano - The ultimate card game for kids and adults. 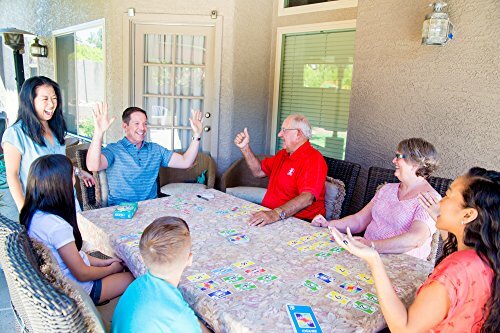 YOUR GOAL: Try to get as few points as possible through flipping, trading and collecting cards over the course of several rounds. 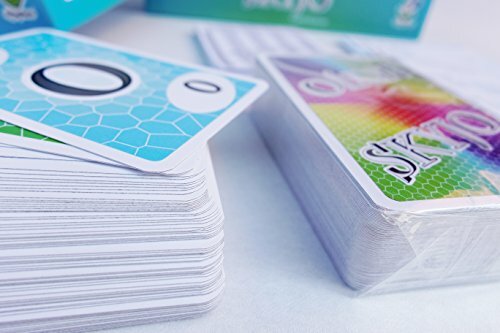 This is only possible as long as a player has not uncovered all his cards, because then ends a round. So beware, keep a close eye on the game and be cautious and wary of the other player's actions! EDUCATIONAL GAMING: Count - Adding of up to 100 two-digit numbers. Estimate - Get used to chances. 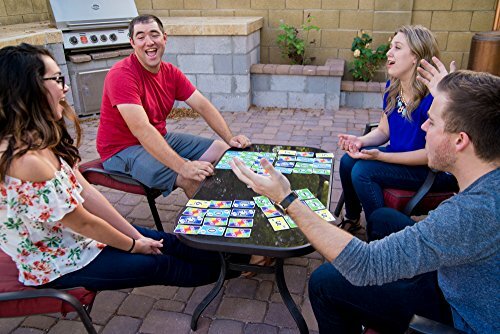 Concentration - Follow the course of the game and other player's turns. PLAYERS: For 2 - 8 players. AGE: From age 8 and up. GAME DURATION: about 30 minutes. LANGUAGES: German, English, French, Spanish, Italian. CONTENTS: 150 game cards, 1 game notepad, 1 manual. Made in Germany. 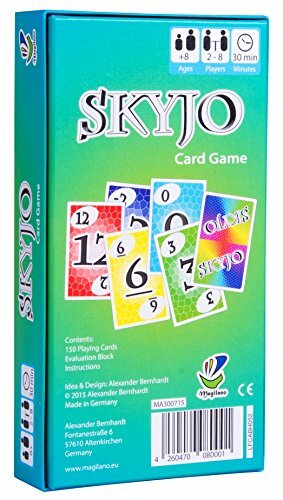 SKYJO - This is the name of the new and exciting game from the publisher Magilano, promising fun and entertainment for many evenings to come. 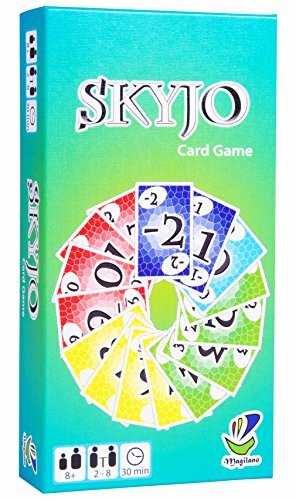 In card game SKYJO the goal is to collect as few points as possible over the course of several turns as after every round every player's points are counted and added to his score. 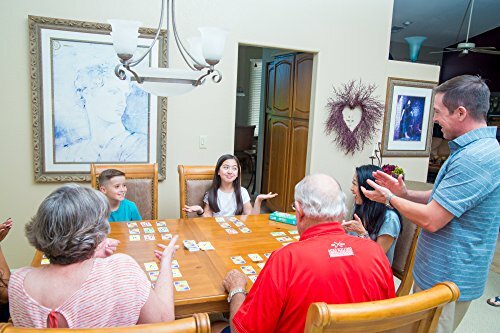 As soon as a player reaches 100 points or more the player with the fewest points wins. Collecting the fewest points means to look for low or even negative numbers. 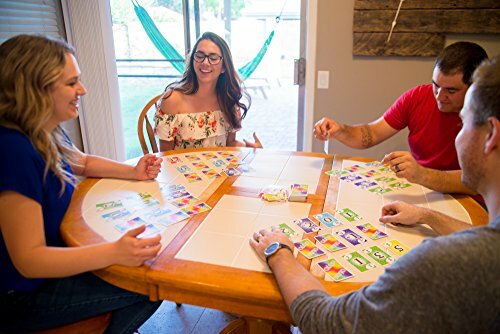 Further excitement is added by several special rules, which for example make it possible to remove several cards (and with it points) from the game - this can lead to unexpected turns. This motivates daring decisions that might even come back to bite, if the other players can counter faster than expected.